I like the fleet. Have some Star Wars vibes to them, but due to the color scheme differentiate themselves easily. Are those stickers custom made? Those are Galaxy Squad stickers from the set each part came with. Very nice work on these. Good color choices, and a unified feel to the fleet. schoon wrote: Very nice work on these. Good color choices, and a unified feel to the fleet. This looks so pretty! I need to get started on my first IO fleet, now that I think of it. Francisco Duarte wrote: This looks so pretty! I need to get started on my first IO fleet, now that I think of it. Thanks! 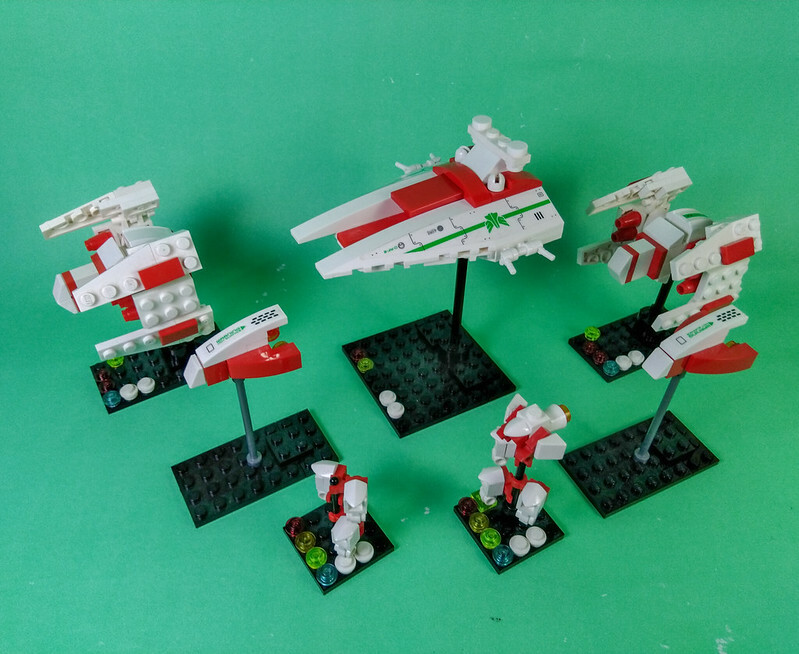 Would love to see your take on IO fleet!